The legal basis of the arm's-length principle in Indonesia is provided in Article 18(3) of the Income Tax Law (ITL), where it is stated that Directorate General of Tax (DGT) is authorised to recalculate the taxable income or deductible costs of related-party transactions in accordance with the arm's-length principle. a family relationship exists through either blood or marriage, within one degree of direct or indirect lineage. sales or purchases of shares. In general, Indonesian transfer pricing regulations have adopted the OECD Transfer Pricing Guidelines; however, there are several principles related to specific circumstances not detailed in Indonesian regulations, including cost contribution agreements and transfer pricing aspects of business restructuring. The ITL also authorises the Minister of Finance to prescribe the expected ratio of a company's liabilities to its equity, which shall be valid for tax purposes. Further, on 9 September 2015, the Ministry of Finance released Decree Number 169 (MoF 169) regarding the ratio of debt and equity for income tax purposes. The decree provides that the acceptable debt-to-equity ratio for Indonesian companies must not exceed 4:1, which means that this provision will deny the deductibility of the interest in connection with the portion of debt that exceeds the 4:1 ratio. In addition, debt-related deductions that could also be denied include fees and charges incurred in respect of the debt. Exclusions from the prescribed debt-to-equity ratio are provided for banks, financial institutions, insurance companies, mining companies, oil and gas companies under production-sharing contracts, taxpayers from the infrastructure sector and taxpayers subject to final income tax. Since tax year 2016, Indonesia has adopted a three-tiered transfer pricing documentation obligation, in line with agreed standards as set out in BEPS Action Plan 13. Transfer pricing documentation obligations are now governed under Minister of Finance Regulation No. PMK-213/PMK.03/2016 (MoF 213). Transfer documentations now consist of master file, local file, and country-by-country report (CbCR). if the related-party transaction is conducted with low-tax countries (i.e., jurisdictions with a statutory tax rate lower than 25 per cent). Master and local files are not required to be filed at the same time of tax return filings. Reporting entities must, however, provide, along with the tax return, a checklist that confirms the availability of such master and local files, including the date of when such documentation is made available. When requested by the DGT, reporting entities are required to file the master and local files within one month of the request. despite having a CbCR reporting obligation and an exchange of information agreement in place with Indonesia, cannot have its CbCR obtained by the DGT. CbCR reporting taxpayers or non-reporting taxpayers are all required to file an online notification to the DGT via an online platform. The online notification must identify which entity in the group has a CbCR prepared, including the country where this is submitted. In addition to the online notification, CbCR reporting entities must file the actual CbCR via the same online platform. Taxpayers that have completed the online notification or online submission of the CbCR will receive a receipt. This receipt must be filed along with the tax return. To provide legal certainty of CbCR reporting obligations by domestic taxpayers that are not ultimate parent entities, the DGT will release a list of treaty partner countries that have a treaty in place containing an exchange-of-information clause, qualifying competent authority agreements (QCAA) and have QCAA, but CbCRs are unobtainable by the DGT. Upon the announcement of the list of such countries, domestic taxpayers delegated with the CbCR obligation have three months to submit a CbCR. If within that period, the taxpayer fails to submit a CbCR, the DGT shall send a formal request letter to said taxpayer, and grant a 30-day extension since the date of the request letter. In line with the guidance provided in the OECD Guidelines, Indonesia has adopted the 'most appropriate transfer pricing method' principle in selecting the transfer pricing method that will be used in analysing affiliated transactions. In general, both taxpayers and the DGT have a preference for applying the CUP method if an affiliated transaction is made in connection with the commodity sector. In addition, the CUP method is also generally applied in royalty and interest payment on loan transactions. If the CUP method is not applicable, the taxpayers and DGT will usually apply the TNMM. The use of other traditional transaction-based methods, namely resale price method and cost-plus method, are rarely used in practice due to the limited availability of detailed gross margin data in commercial databases. The transactional profit method (i.e., profit split method) is also rarely used because of the extensive information requirements regarding the taxpayers' group as a whole. Generally, this is because multinational companies (MNCs) that run their business in Indonesia are subsidiaries, and thus the information concerning the MNC group as a whole is not owned by the subsidiary. the taxpayers suffering losses for several years. Since 1984, Indonesia has applied a self-assessment system under which taxpayers are required to calculate, pay and report their own taxes in accordance with prevailing tax laws and regulations. In connection with affiliated transactions, taxpayers are expected to prepare a transfer pricing report containing the information required by DGT. The role of the taxpayers in any tax audit is to assist in the process by appearing for investigation and producing books of accounts, documents or other relevant records as requested by the DGT for inspection within the specified time limit. The DGT starting point of analysis is based on the information provided in the transfer pricing documentation as prepared by the taxpayers. However, if taxpayers do not provide transfer pricing documentation and its explanation, the DGT may establish the facts and analysis based on information available to the DGT. If this is the case, the DGT have the authority to propose a transfer pricing adjustment by way of issuing an ex officio tax underpayment assessment letter, and the burden of proof is on the taxpayers to demonstrate that such assessment letter is not correct. the royalty rate applied in related-party transactions should be comparable with the royalty rate applied in independent transactions in comparable circumstances. Further, in line with recent developments on the issue of transfer pricing on intangible assets, in practice, DGT also emphasised the analysis of the development, enhancement, maintenance, protection and exploitation (DEMPE) functions of intangibles. The party performing the DEMPE function in this regard shall be deemed as a party that is entitled to the remuneration of income derived from the DEMPE functions. had a distribution channel and customer list. Concerning the determination of arm's-length royalty payment for the licensing of intangibles, DGT and taxpayers commonly use the CUP method. However, in the application of the CUP method, both taxpayers and DGT face the same limitations regarding the availability of reliable comparable, including the comparability of the type of intangible itself and the exclusivity rights; therefore, in some cases of dispute resolution, the TNMM is also commonly used. In addition, several other issues surrounding intangibles that often cause the risk of disputes between taxpayers and DGT concern the taxpayers who make royalty payments but recorded losses, or taxpayers who booked an increase in the rate of royalty payments. 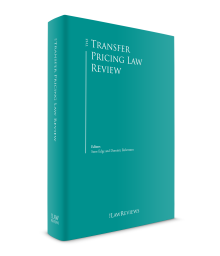 There are three instruments that may be used by the taxpayers in transfer pricing disputes: the advance pricing agreement (APA), the mutual agreement procedure (MAP) and appeals to the tax courts, which can extend to Supreme Court civil review requests. The process of tax litigation in Indonesia takes 12 months for objection or appeal and six months for civil review. However, in appeals and civil review processes, some time periods are longer than stipulated. As an alternative dispute resolution, the MAP may be used by taxpayers in accordance with the rules contained in the tax treaty clauses between Indonesia and each partner country included in the transactions, and can be initiated by the taxpayers or the DGT. As a general rule, an MAP could be commenced if an action of the contracting state results or will result in taxation not in accordance with the provision of a tax treaty. In practice, taxpayers can initiate an MAP procedure following the issuance of notification of tax audit letter; therefore, the exhaustion of domestic dispute resolution remedies is not necessary for commencing an MAP process. In domestic proceedings, it is possible to request the commencement of an MAP when the taxpayers are involved in a litigation process (i.e., filing an objection or tax appeal) against the DGT in court (i.e., a simultaneous MAP request). However, if the tax court has made a decision on an appeal case, the DGT would terminate the MAP. Any mutual agreement request does not postpone obligations of taxpayers to pay the assessed tax if they have received an assessment notice, regardless of whether the taxpayers request an MAP. Further, according to current MAP regulation, the implementation of an MAP carried through consultation between the Indonesia's tax authorities with the tax authorities in the tax treaty partner country may take a maximum period of three years commencing from the first consultation. However, the time period may be extended following an agreement between the Indonesian tax authorities and the tax authorities in the tax treaty partner country if the MAP process does not yield a mutual agreement. In addition to appeals and MAPs, APAs can be used by the taxpayers to prevent transfer pricing disputes. In Indonesia, APAs could be concluded unilaterally or bilaterally, while a multilateral APA is not specifically stated. Unilateral APAs could cover a maximum of three tax years, while bilateral APAs could cover up to four. Tax audits concerning assessment of the arm's-length nature of related-party transactions falls within the normal tax audit procedure.4 A tax audit is automatically triggered for taxpayers that file a tax return claiming a refund position. A tax audit may also be triggered as a result of risk profiling conducted by the DGT to identify transfer pricing risks. The risk profiling takes into account, among others, perpetual losses; significance of related-party transactions; transactions with low-tax countries; and industry profitability benchmarks. Tax audits that include assessments on transfer pricing issues are conducted by the DGT through a field audit, which has a time limit of six months. This six-month period could be extended a maximum of three times. During the tax audit process, the DGT have broad authority to request for information. Taxpayers are required to provide the documents and information requested by the tax auditors within one month. Failure to provide the documents and information within this time limit may cause the tax auditor to assess tax liabilities on a deemed profit basis. Where documents and information are not supplied within the one month period, they cannot be used as evidence at the later stages. Although tax audits are conducted in relation to overall tax compliance and not specifically subject to transfer pricing transaction, the DGT has issued an audit guideline specifically for transfer pricing.5 The stated purpose of the audit guideline is to provide 'simplicity and uniformity to DGT in performing audits on taxpayers with a special relationship to ensure the quality of the audit'. The audit guideline serves as best practice toolkit for tax auditors, which is especially necessary since tax auditors within the country may have different level of expertise in handling transfer pricing cases. The audit procedure ends with a closing conference meeting. During closing conference stage, the tax auditor will provide the taxpayer with written notification of the tax audit findings. The taxpayer must state whether it agrees or disagrees for each item of audit findings. Taxpayers who disagree with the proposed tax audit findings can request for quality assurance to the regional tax office. The quality assurance procedure will re-examine the tax audit findings. The end result of a tax audit is an issuance of a tax assessment letter (SKP-letter). There are three types of tax assessment letter: the overpaid tax assessment letter (SKPLB-letter), the underpaid tax assessment letter (SKPKB-letter) and the nil tax assessment letter (SKPN-letter). Disputes will typically arise following the issuance of a tax assessment letter by the DGT with items of adjustments that the taxpayer does not agree with. A taxpayer who does not agree with a tax assessment letter can submit an objection to the tax office within three months of the issue date of the assessment letter. In accordance with the General Provisions and Tax Procedure Law, as far as the SKPKB-letter is concerned, the taxpayer must at least pay the amount agreed during the closing conference before filing the objection. Within 12 months, an objection decision letter must be issued by the DGT; if not, the objection is automatically deemed accepted in favour of the taxpayer. The next stage of the dispute resolution process is the appeal (banding). Taxpayers that do not agree with an objection decision can file a letter of appeal to the Tax Court within three months of the receipt of the objection decision letter. To be eligible for the appeal to be heard at the Tax Court, the taxpayer must pay at least 50 per cent of the total tax due (i.e., the tax due that is agreed by the taxpayer during the closing conference). Therefore, if the taxpayer has not agreed to any items of the adjustments imposed during the closing conference, there is no obligation to pay tax before having the appeal heard by the Tax Court. As Indonesia adopts a civil law system, the court does not operate on the basis of precedence and their decisions are not fully published. Instead, the Tax Court provides a summary of a court decision, which is available on its website.6 However, the decision of the Tax Court is final with full legal force. The only legal remedy left for a taxpayer is to file a civil review request to the Supreme Court. One of the examples of Tax Court decisions with regard to transfer pricing is the court decision in the case Put-70118/PP/M.IA/15/2016 (18 April 2016). In this case, the royalty payment made by the taxpayer was challenged by the DGT, who argued for the existence and benefit of the intangibles. In the Tax Court hearing, the taxpayer had proven that the use of intangibles had occurred, such as the use of trademark attached to the product, technical know-how and the actual conduct of technical assistance rendered by its affiliated company in Japan. Further, the judges stated that, since the DGT argued for the existence and benefit of the intangibles and the taxpayer could provide significant evidence that their transactions had actually occurred, the judges concluded that the adjustment proposed by the DGT regarding royalty payment could not be upheld. The authority of the DGT to impose a secondary adjustment is not clearly stipulated in the law. Nevertheless, the concept of 'secondary adjustment' is recognised in audit guidelines in connection with related-party transactions,7 which the DGT often refers to when conducting audits on taxpayers. The guidelines state that 'if a primary adjustment has been conducted by the DGT, then a secondary adjustment may also be implemented'. In practice, secondary adjustments are imposed on deductible payments to related parties (e.g., royalties and services), where the excess of the arm's-length amount will be considered as deemed dividends. The amount considered as deemed dividends is not deductible, while still subject to withholding tax at the applicable rates according to domestic tax law or tax treaties. As there are no further specific regulations and guidelines, the application of secondary adjustments by the DGT is quite rare in practice. If applied, then this concerns mostly transactions of the taxpayer with its direct or indirect shareholder, and not for transactions with subsidiary or sister companies. A diverted profit tax is not applicable under domestic tax law. Indonesia is actively changing its regulations on transfer pricing to be more in line with the OECD BEPS package. 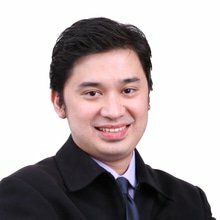 As a result, transfer pricing documentation requirements in Indonesia have become more comprehensive and applicable to almost every taxpayer that is part of a multinational group. It is, therefore, expected that the role of transfer pricing documentation will become even more critical for the following year when the first tax audits under the new documentation rules will take place. Taxpayers should consider transfer pricing documentation as the first defence line in case of audit. In the end, robust transfer pricing documentation could serve well to reduce disputes with the DGT. A major change in the approach of tax audits is that the DGT will now also focus on intercompany pricing policies (ex ante approach) and not only on testing the arm's-length principle after the transaction has occurred. 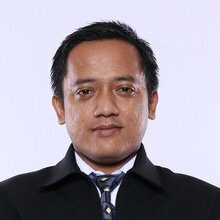 Alternatively, APAs are increasingly trending in Indonesia to avoid disputes or reach settlements considering that the number of tax audits is still high in the past three to four years. Although the APA programme is relatively new, the prospect of APA is nevertheless promising since it is reported that Indonesia has already, on many occasions, successfully concluded bilateral APAs with major trading countries. 1 Romi Irawan is a partner and Untoro Sejati is a senior manager at DDTC. 2 This is in line with the BEPS Action Plan 13 required minimum threshold of €750 million. 3 DGT Regulation PER-22/PJ./2013 and Circular Letter SE-50/PJ./2013. 4 Ministry of Finance Regulation number 17/PMK.03/2013 as latest amended by Ministry of Finance Regulation number184/PMK.03/2015. 5 DGT Regulation PER-22/PJ./2013 and Circular Letter SE-50/PJ./2013. 6 Available at www.setpp.kemenkeu.go.id/risalah (accessed at 9 April 2018). 7 The concept of secondary adjustment is explained only in DGT Regulation PER-22/PJ./2013 and Circular Letter SE-50/PJ./2013. 8 For an overview of the general applicable penalty regime see David Hamzah Damian, 'Chapter 16 - Indonesia' in The Disputes and Litigation Review (Law Business Research, London: 2017) pp. 181–182. 9 Article 13(2) General Provisions and Tax Procedure Law. 10 Article 25(9) General Provisions and Tax Procedure Law. 11 Article 27(5d) General Provisions and Tax Procedure Law. 12 Article 13(3) General Provisions and Tax Procedure Law. 14 Available at www.oecd.org/tax/dispute/indonesia-2016-mutual-agreement-procedure-statistics.pdf (accessed on 9 April 2018).